After Luhan and Guan Xiaotong announced that they were officially dating, Sweet Combat 甜蜜暴击 was shoved to the spotlight for being the drama that brought them together. I'm still curious to see the real-life couple's sugary sweet chemistry play out on the small screen, but in the meantime, we get a batch of high-intensity stills that gives a glimpse of what the story is all about. 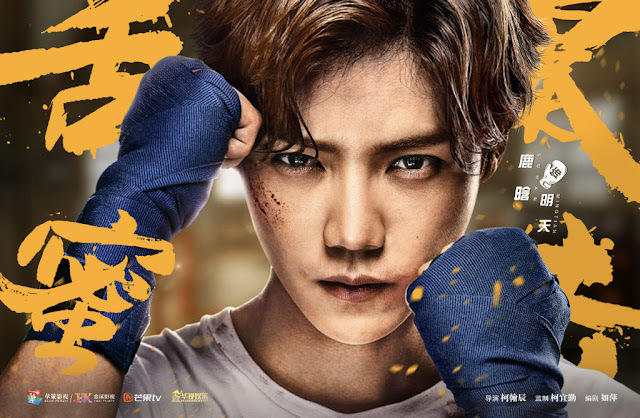 Luhan as Ming Tian (Tomorrow), the ever-dependable big brother who carries many responsibilities on his shoulders. He is diligent and determined to succeed. After deciding to take up a combat sport, he accepts the hardships that come with it without complaints. He is a true man who never gives up and wears his scars like a badge of honor. Tomorrow is just a step ahead. 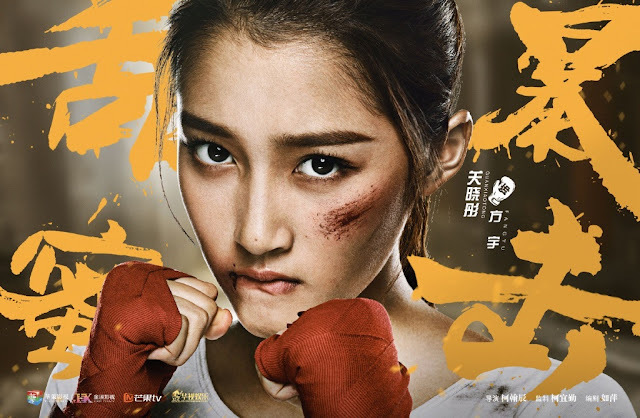 Guan Xiaotong as Fang Yu. She appears cold and distant to others but she is actually sensitive and frail. She can be a quirky character and also quiet and introverted. Nonetheless, she is always a queen whenever she is in the boxing ring. 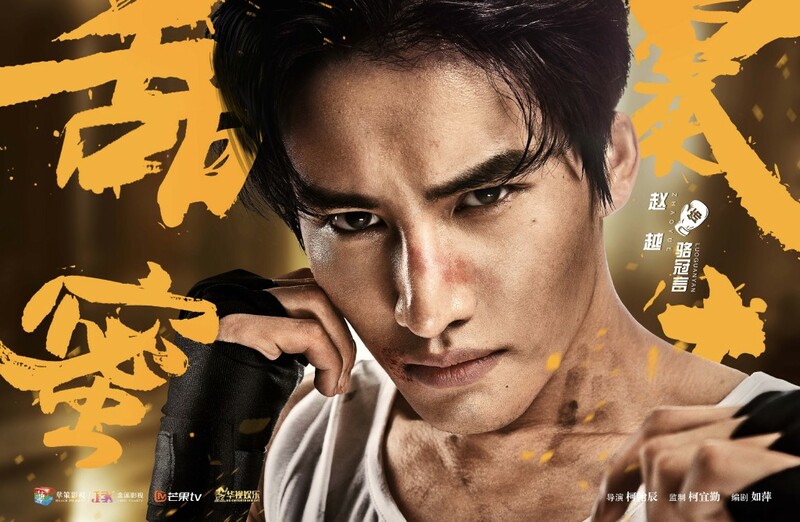 Tim Pei Zitian as Sun Hao, a fighter who reaches for his dreams. He likes to help those in need and loves animals. Li Meng Meng as Cheng Ya Nan, a woman with handsome features, which has earned her titles such as the number one handsome (第一帅), and god (楠神). She is the head of the boxing club at school and Fang Yu's only friend. She is the type of person who would rather be uninhibited than indulging. She would also rather be a go-getter rather than to have regrets. 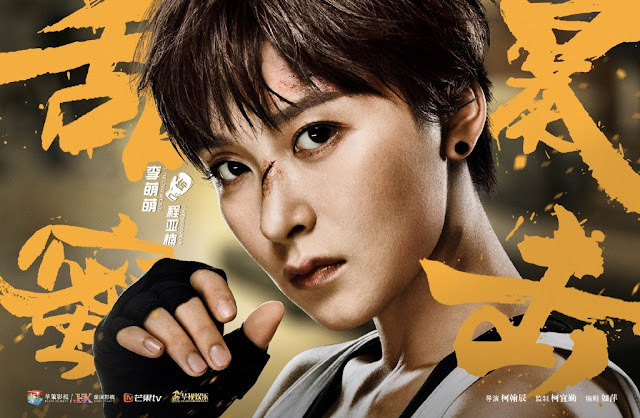 Ivy Shao Yu Wei as Song Xiao Mi. She is small but terrible. She always approaches her competitors with a smile, but she is a formidable opponent who throws punches when it counts. When it comes to romance, she is equally brave as she lives life to the fullest. Zhao Yue as Luo Guan Yan, the gentle and good-looking head of the boxing club. A chance encounter leads to his lifelong passion.